The NIU Board of Trustees today appointed Dr. Lisa C. Freeman president of Northern Illinois University. Freeman, who has served as acting president since July 2017, begins the appointment immediately as NIU’s 13th president. She is the first woman in that role. “When we considered the type of president we wanted to lead NIU into the future, we set the bar high. We were seeking a visionary and strategic leader who has a deep knowledge and appreciation of NIU’s values and mission. We are confident that we have found that person in Dr. Freeman,” said Wheeler Coleman, chair of the NIU Board of Trustees. “Having worked with Dr. Freeman in her various capacities for the last several years, it is clear that she genuinely cares about NIU, understands our challenges and recognizes our full potential. 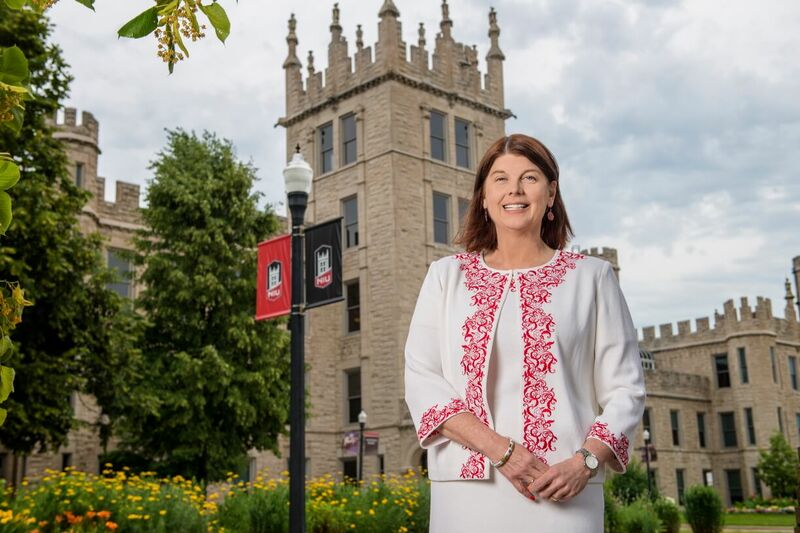 We are proud and excited to work alongside her to ensure that NIU remains a strong and vibrant institution that prepares our diverse students for professional and personal success, and serves as a vital resource for our region, the state and the nation,” Coleman added. The board acknowledged Freeman’s strong leadership, energy, transparency and performance during her time as acting president, specifically praising her efforts to not only stabilize the university during a leadership transition, but also for making significant progress in developing a vision and plan to move the university forward in areas such as enrollment, fiscal sustainability and process improvement. The search process was informed by input from a 13-person Presidential Search Planning Committee, which spent six months benchmarking best practices in presidential searches, contracts and salaries. The group also developed a comprehensive presidential profile that detailed the qualities the university community desired in its next leader. Freeman’s selection as president comes after an inclusive, two-month process during which hundreds of faculty, staff and students across campus provided their thoughts to trustees on Freeman as a candidate to lead the university. Freeman also participated in an Aug. 30 forum where she laid out her vision for the future of NIU and fielded questions offered by a broad cross-section of the university community. Freeman pledged that she will continue to follow that same course going forward. ”I welcome the opportunity to be a tireless advocate for our university and for building upon our current momentum as we begin to develop a comprehensive strategic plan,” she said. Prior to becoming acting president, Freeman held the positon of executive vice president and provost, in which she provided administrative oversight and programmatic direction to Academic Affairs, Human Resources Services and Student Affairs. 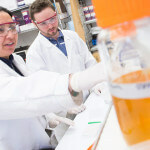 In that role, she also spearheaded the university’s Program Prioritization efforts, which have established a new culture of data-driven decision making on campus. Freeman joined NIU in 2010 as vice president for Research and Graduate Studies. Prior to coming to NIU, she spent 16 years as a faculty member at Kansas State University (K-State), where her roles included associate dean for Research and Graduate Programs for the K-State College of Veterinary Medicine and associate vice president for innovation for K-State Olathe. Freeman earned a bachelor’s degree in 1981, followed by a master’s degree and a doctor of veterinary medicine in 1986, all from Cornell University. She went on to earn a doctor of pharmacology degree at The Ohio State University in 1989, and subsequently worked as a postdoctoral fellow and research scientist at the University of Rochester School of Medicine. In 2004-05, Freeman was a Fellow of the American Council on Education, hosted by the University at Buffalo.